As international criticism of Israel mounts, the U.S. has continued to be their steadfast ally. 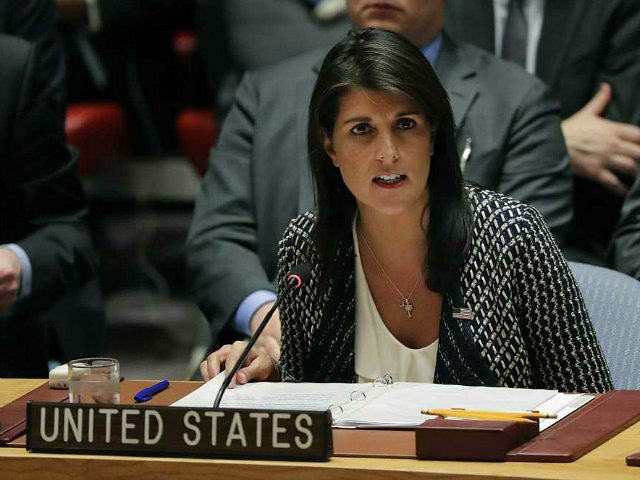 The U.S. ambassador to the United Nations Nikki Haley has accused the U.N. of antisemitism for disproportional targeting Israel and shifted blame to Hamas, the group that runs the West Bank and does engage in terrorism. Following the U.S. criticism of a U.N. resolution condemning Israel, the United States withdrew from the United Nations Human Rights Council. As a member of the all-powerful security council, the U.S. vetoed resolutions calling for the embargo and sanctions of Israel or its internationally disputed settlements. Nikki Haley speaks at the U.N. The United States has as of late decided to crack down on BDS (Boycott, Divestment, Sanctions), a group that calls for nonviolent boycotts as a way of pressuring Israel to stop engaging in human rights abuses. The FBI investigated and questioned members of BDS recently. This provoked outrage among left-wing and free-speech groups who accuse the FBI of chilling political speech and relying on right-wing outlets for information. 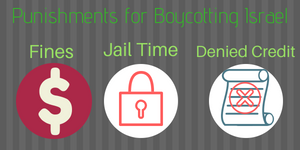 The most bold iteration of the anti-BDS trend is a bill introduced in the Senate, The Israel Anti-Boycott Act, and an equivalent bill in the house that would punish Americans who participate in and support boycotts of Israel. The bill goes further and says Americans who participate in boycotts of any U.S. allies could also face punishment. The language tries to mask its purpose, saying that this bill only applies to international government organizations propagating for a boycott, but many say it could still be used to punish individual Americans. The text in the bill tries to stay general, but it is clear that the organization they are targeting is B.D.S. and the U.S. ally they are protecting is Israel. Meeting public backlash, they have tried to amend the bill, but it's akin to putting lipstick on a pig: it's still a pig. The punishments range from a $20000 dollar fine to, at maximum, a $1 million fine and up to 20 years in prison. Before my Democrat-supporting friends jump in, the bill in the Senate is sponsored by Democratic senator Bill Cardin and supported by Chuck Schumer, the leader of the Senate Democrats. An equivalent bill in the House of Representatives is sponsored by dozens of Republicans and Democrats. It would also discriminate against businesses who do not work with Israel, as a matter of boycott or not, by denying their credit applications in the Export/Import bank, effectively cutting them off from the rest of the world. Below is a list of members who support the bill. There are currently 55 Senators- enough to pass the Senate and 218 representatives- enough to pass the HOR. As it stands, the bill is very likely to pass. If your representative is a Democrat, he/she may be especially open to your thoughts. Especially if your congressmen is on it, or even if they aren't, I urge you to call, email, and write to them to tell them this bill is an affront to free speech.